Or rather, the Ray City area. As a young woman, noted ecologist and centenarian Elsie Quarterman’s home town was given as Ray City, GA. At that time, the postal address of the Quarterman farm was Ray City, GA although the farm was actually south of Ray City, GA across the county line in Lowndes County. Elsie Quarterman, a daughter of Alla Irene Peek and David Sinclair Quarterman, was born 1910 in Lowndes County, Georgia. Her father worked as a Superintendent of City Works for the City of Valdosta, GA and her early childhood was spent in the city, where her family resided at 115 Varnedoe Street. Her grandparents, Susan Evalyn “Susie” Sinclair and Thomas Quarterman, lived in a house on Hill Avenue. Elsie Quarterman, high school student at Hahira, GA. Sometime around 1918-19 the Quarterman family removed from Valdosta to a farm owned by Elsie’s father, located on Ousley road in Militia District 663 of Lowndes County. Living at the farm house along with her parents and siblings were her Scottish grandmother, and grandfather who was disabled. In 1921, the Quarterman family moved again to a farm located on the Hahira road in Georgia Militia District 1307, the Cat Creek District of Lowndes County. Elsie attended high school at Hahira. In the census of 1930, 19-year-old Elsie Quarterman is enumerated in her parents household on the family farm. 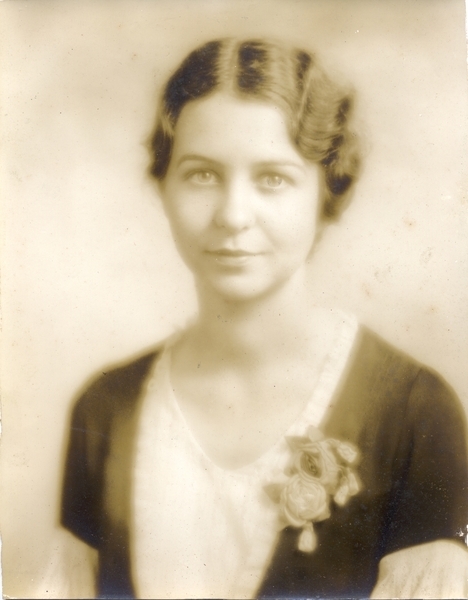 After high school, Elsie Quarterman attended Georgia State Womans College in Valdosta, GA (now known as Valdosta State University.) 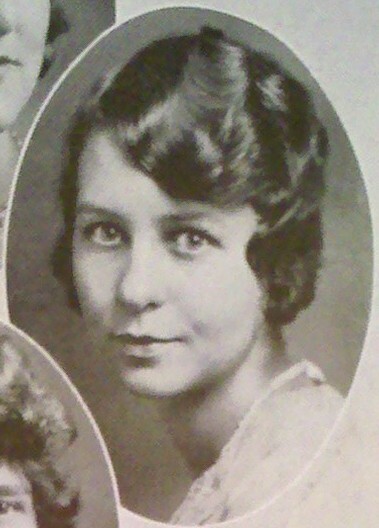 The 1931 Pine Cone, the college annual, gives her home town as Ray City, GA. Elsie graduated from G.S.W.C. in 1932 with a Bachelor of Arts degree. 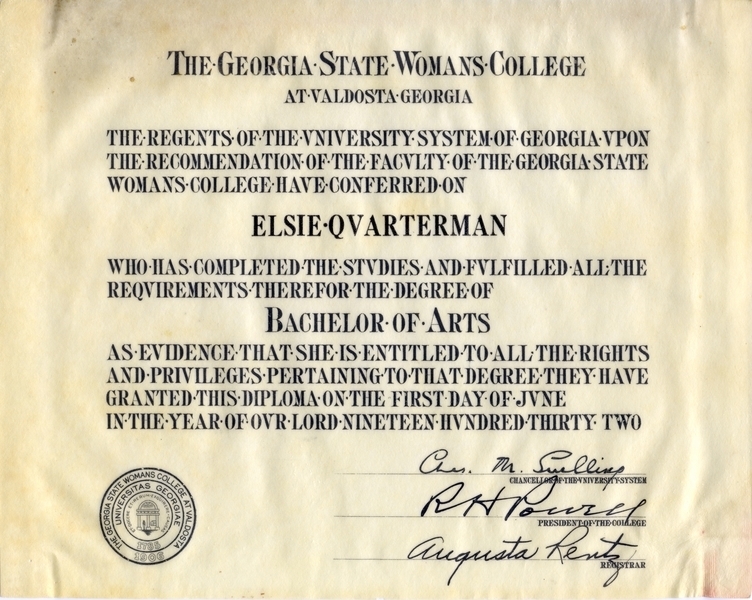 Elsie Quarterman, Georgia State Womans College diploma, 1932. Elsie Quarterman later attended Duke University where she earned a Master of Arts in Botany, and a Ph.D. in Plant Ecology. After achieving her doctorate, she joined the faculty of Vanderbilt University, and became the first woman to chair a department of that institution. She became a noted pioneer in the field of ecology with important publications on southern hardwood and pine forests. Luelle Giddens and the Euclidian Club at G.S.W.C.